Hello there, if you are interested in learning more about our work, click on the projects below to see them and download the presskits you are interested in. If you have any questions or comments please let us know. Don't forget to send us what you shared! 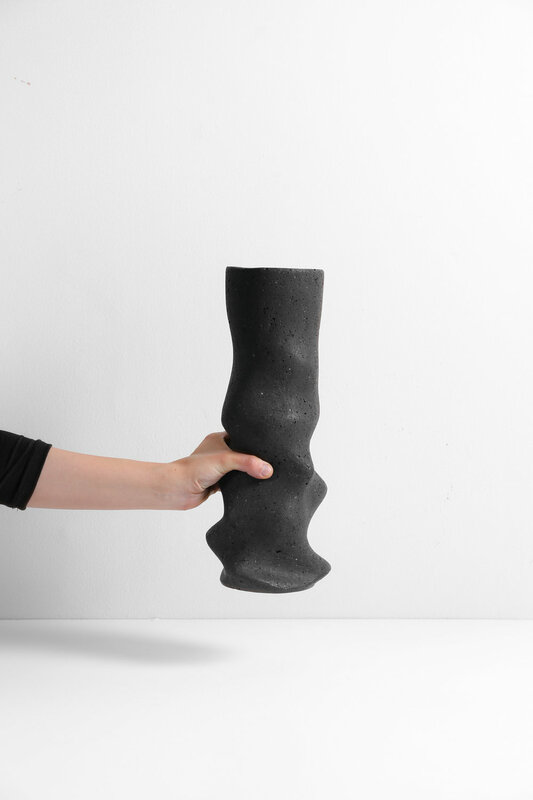 Founded in 2014, C37 Material Development Studio is the first Mexican studio in Latin America that focuses in research, development and innovation in materials. They challenge existing materials and discover new manufacturing opportunities by linking industrial design with science and technology. 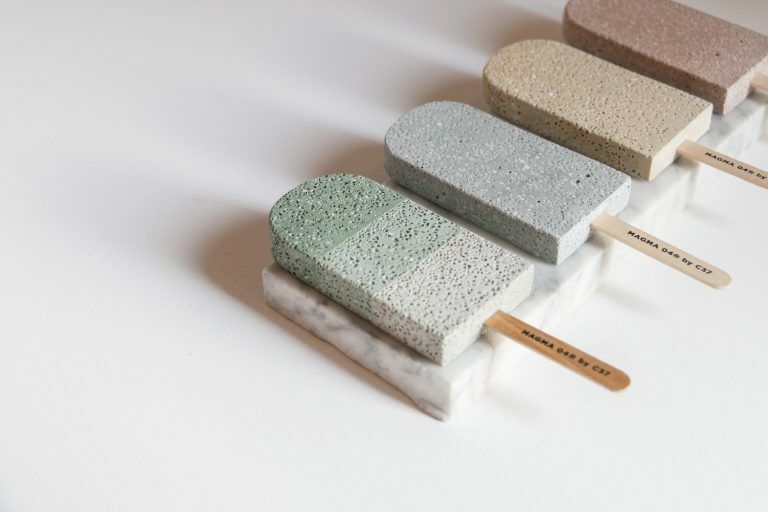 MAGMA® is the first one of the studio's material library. It's a semi - liquid formula improves the emblematic Basalt stone in appearance, color and texture. It allows us to obtain organic forms impossible to reach with the natural stone, and can be used in architectural, industrial design, automotive, fashion and jewelry applications. Click on images to learn more about the projects and download presskit. ABIERTO MEXICANO DE DISEÑO 2017. C37 participates in the fourth edition of Abierto Mexicano de Diseño in Mexico City. This time, C37 presents 05 products designed by students of Tecnológico de Monterrey that where designed and produced with MAGMA®. CDMX / EXPOSITION / PROJECT. In honor of the 75th anniversary of Wonder Woman, MUMEDI invited us to design a pair of breacelets "worthy of a demigod" this with the objective of supporting the non-profit foundation called Epic Queen. DUBAI / TABLEWARE / PROJECT. To design a monochromatic dinner experience, Tinkah invited C37 to design and produce a tableware collection using MAGMA® food-safe formula in white and gray. TECNOLITICO : DESIGN WEEK MEXICO 2017. In a collaboration with La Galería Mexicana de Diseño, introducing their new color palette: MAGMA® COLORS, inspired in ceramics and nature. The exhibition will be held at Inédito, Design Week México on October 2017 in Museo Tamayo. MILAN / EXPOSITION / CONTEST. 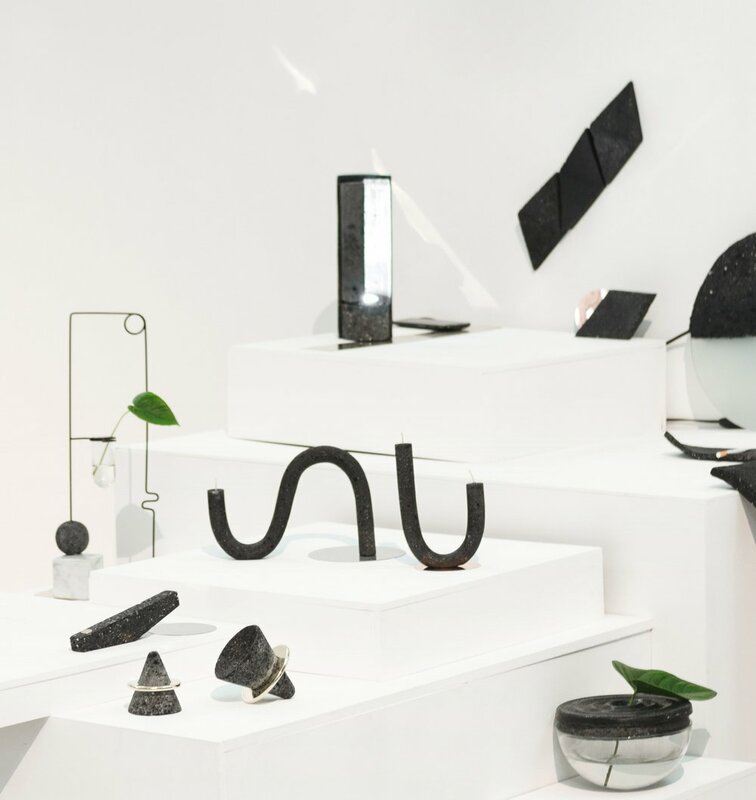 The studio gave the opportunity to 16 Mexican and international students to design and produce with MAGMA® in a space that connects technology, innovation and new materiales, ventura Lambrate. MTY / AWARD / PROJECT. In honor of Women's day, Tec de Monterrey invited C37 to design the award for Premio Mujer Tec to celebrate their leaders and inspire future generations. 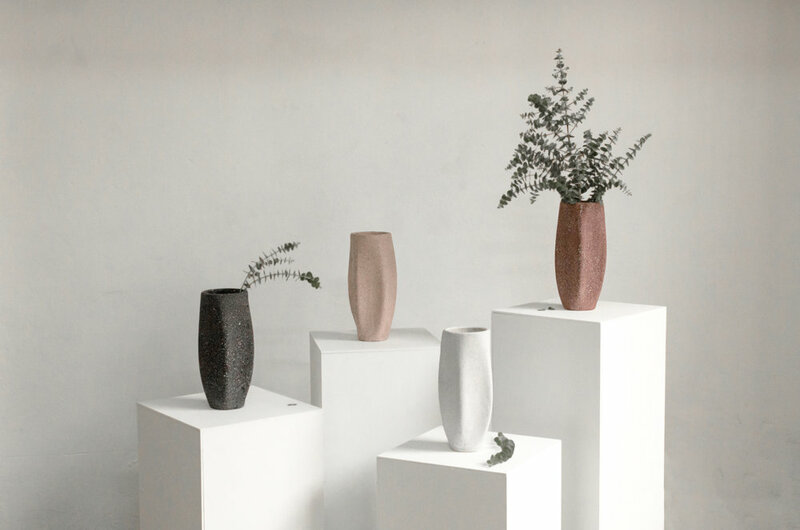 La Galería Mexicana de Diseño invited C37 to participate in their exhibition Milano In Messico, where the projects taken to Milan Design Week where exposed in Mexico City. The studio presented some pieces designed and produced with MAGMA®. COPPER CATALYST FOR ABSOLUT ELYX. A tool inspired by the first luxury vodka, find out how by connecting, understanding & interpreting a global leader brand we developed a Design Winner product for Absolyt Elyx based on their target market at México.